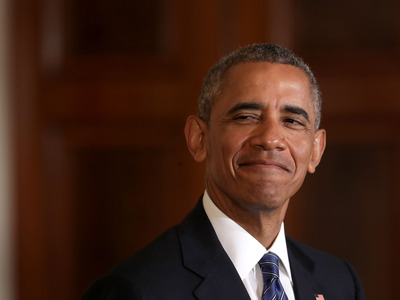 Former president Barack Obama made some definite dad jokes during his time in office. Often, he found them hilarious, but his daughters did not. His Thanksgiving turkey pardons were exceptionally punny. 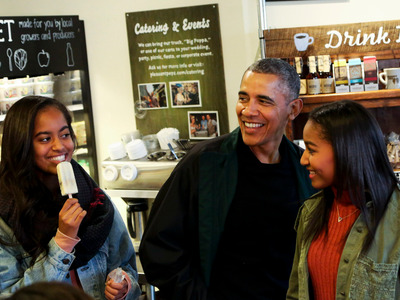 Former POTUS Barack Obama is a dedicated father and great with kids – but he’s made his share of dad jokes, often embarrassing his daughters Sasha and Malia with his puns. But every time he made a corny joke, he committed to it, and for that we applaud him. Take a look at some of Obama’s “best” jokes over the years. Obama had plenty of puns lined up for his last turkey pardoning in 2016. This was another one of Obama’s many zingers at the 2016 turkey pardoning. Courtesy of the White HouseObama always took the right occasion to make jokes. This joke – delivered at the White House Correspondents’ Dinner in 2009 – referred to a recent publicity disaster regarding a White House official approving a publicity shoot that had Air Force One flying very low over ­Manhattan, causing panic. Obama made this joke at his 2015 turkey pardoning. 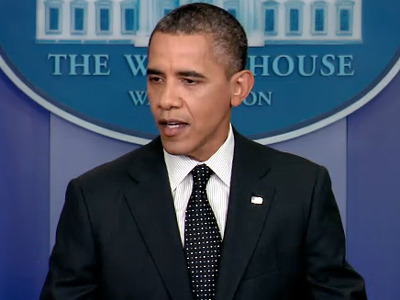 Obama went out the only way he knew how, with a pun-filled bang at his last turkey pardon. Obama delivered this joke during his final White House Correspondents’ Dinner speech in 2016. He famously admitted to having smoked weed in 2006. 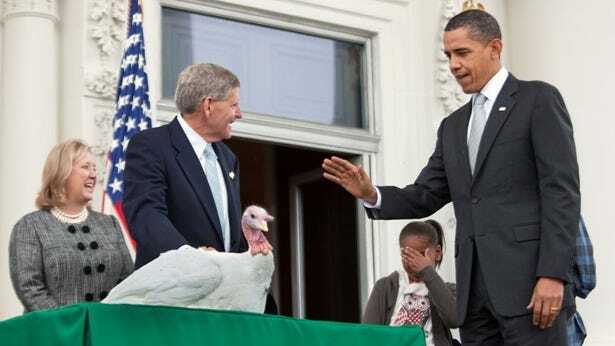 Obama made this joke at the White House during his 2013 turkey pardoning. 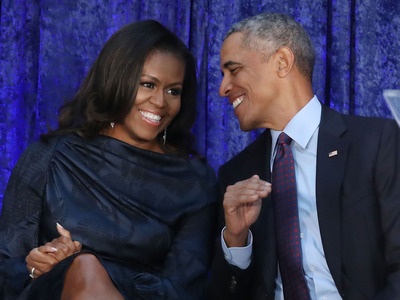 Mark Wilson/Getty ImagesObama particularly loved telling jokes that involved his family. Obama naturally had to make a pun about his wife Michelle’s famously toned arms at the 2009 White House Correspondents’ Dinner. 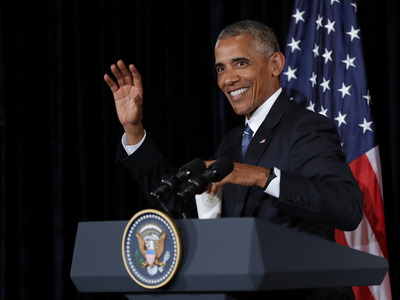 Spencer Platt/Getty ImagesNo matter what the reaction, Obama powered through his corny jokes, and we applaud him for it. Obama delivered this joke during the White House’s 2016 Hanukkah reception. Chip Somodevilla/Getty ImagesWhen people didn’t get his jokes, he would double down. Obama made this quip at the start of his 2016 turkey pardoning. WikipediaObama always came up with puns during his turkey pardons at the White House. Obama said this during his 2011 turkey pardoning. The turkeys to be pardoned at the 2014 turkey pardon were named Mac and Cheese, prompting this joke. Pool/Getty ImagesObama and his daughters. 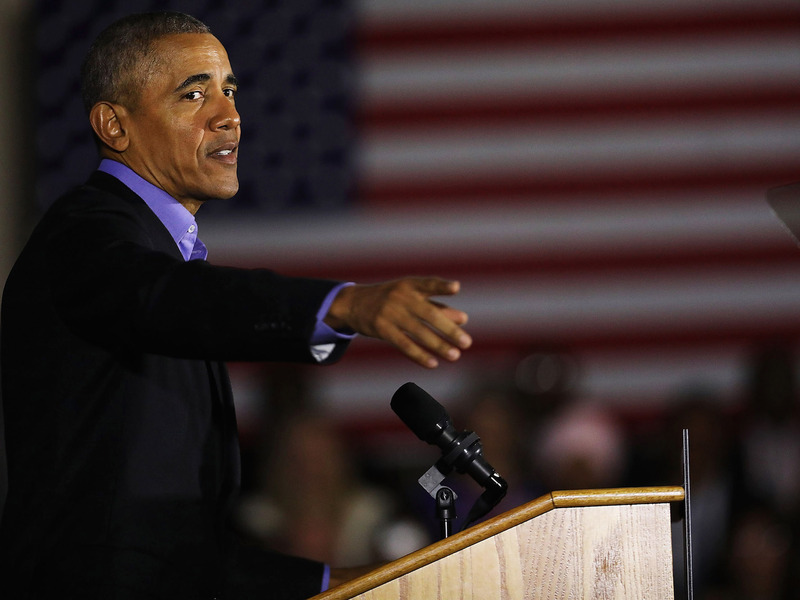 Obama coined the term TOTUS at his 2015 turkey pardoning. This joke was delivered at Obama’s 2016 turkey pardoning. Obama said this at the 2011 White House Correspondents’ Dinner. This playful rib at former VP and bro Joe Biden took place at the White House correspondents dinner in 2009. Lintao Zhang/Getty ImagesObama’s sense of humour was truly something. Referring to Joe Biden’s infamous sunglasses, this joke was delivered at Obama’s last turkey pardoning in 2016. Obama was on a roll for his last turkey pardoning at the White House. Obama delivered this joke during his 2016 White House Correspondents’ Dinner speech.